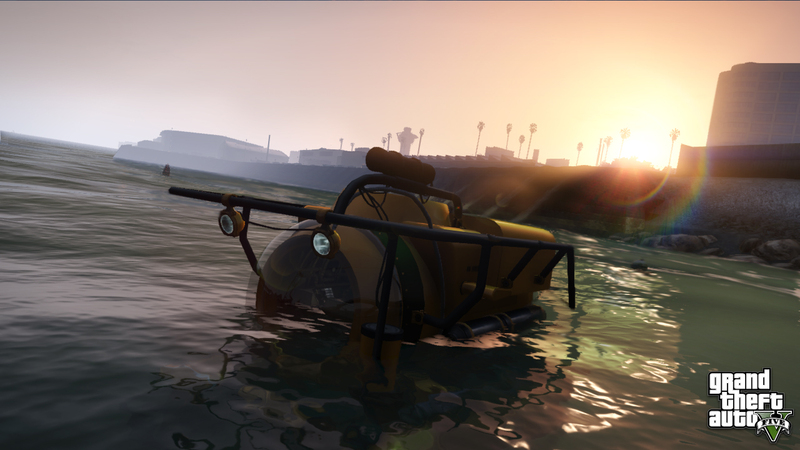 Grand Theft Auto V was reasonably the most loved video game of 2013. Rockstar touched the peak of previous-gen consoles’ hardware capabilities with the latest installment in its most recognized Grand Theft Auto series. The game was overall a prefect blend of smooth graphics and progressive gameplay. Every view in the game showed-off the heartfelt efforts and notable advancements of the Grand Theft Auto V development team. 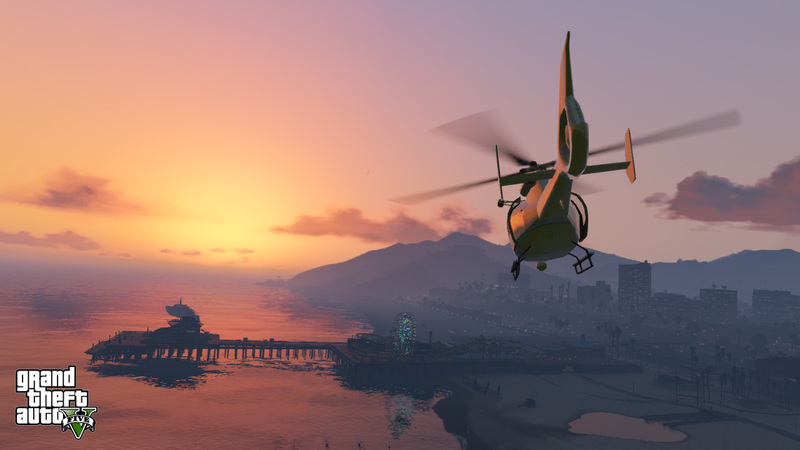 Would Rockstar Release New PC Version Of Grand Theft Auto V Or A Port To Next-Gen Consoles? Ongoing with its habitual but unexplained act, Rockstar released the Grand Theft Auto V only on PlayStation 3 and Xbox 360 consoles last year and showed no interest in the PC version of the game. The developer has done this before with its several games, the game is released first on consoles only without any valid announcement of PC version and then Rockstar releases it on PC. 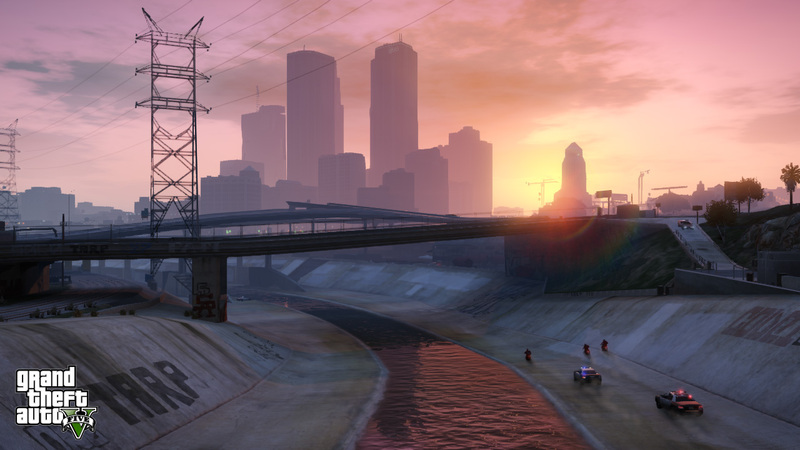 Take L.A Noire and Grand Theft Auto IV as examples, both the games were released on PC six months after their original release dates. But it is not always confirm that Rockstar would release the game on PC, take Red Dead Redemption, which never saw PC launch. Keeping PC aside, the next generation of consoles has begun, PlayStation 4 and Xbox One consoles have arrived in the markets and millions of gamers have already ported to the next-gen consoles (current-gen now). The question of what Rockstar is going to come up with in next-gen games is bugging every fan now, so the discussions, news and rumors of Grand Theft Auto PC and PlayStation 4 and Xbox One release are coming out parallel now. Grand Theft Auto V is a really good game and the comments on the topics related to game show that people really want Rockstar to release the game on PlayStation 4 and Xbox One, and even on PS Vita. Grand Theft Auto V was in its development stages when next-gen consoles were announced, so Rockstar clearly knew that people would keep their main focus on next-gen consoles but the game was still released only on PlayStation 3 and Xbox 360 only. Aaron Garbut, art director of Grand Theft Auto V said that Rockstar Games had a “huge volume of plans and ideas” for the latest Grand Theft Auto game, but the developer was not able to implement those plans and ideas. The ideas were about adding new features to the game but the plans were not only for new features and they meant something else. Perhaps, only as a thought, Rockstar planned about making a next-gen version of the game too. Now let’s throw all these previous speculations behind and get to what we have to talk about now. Most of the major game developers have released or announced their next-gen titles for PlayStation 4 and Xbox One but there isn’t a single word from Rockstar about its new game project (there obviously is one). Many rumors predict that Rockstar would come up with its first next-gen game in the form of Grand Theft Auto V port to PlayStation 4 and Xbox One. Some rumors are self-made, other come with solid evidence such as confirmations or leaked listings. Some reports also say that Red Dead Redemption 2 is what Rockstar is working on now as a next-gen game. Basically, I think Grand Theft Auto V has gathered all the attention it could on PlayStation 3 and Xbox 360, people have played it and they love it, but not many people would want to play it again on next-gen console when they have already played it on their previous ones’, only those who did not own previous-gen console would want a next-gen Grand Theft Auto V port. Most PlayStation 4 and Xbox One users have owned the PlayStation 3 and Xbox 360 too, so they have already enjoyed the Rockstar’s latest game thoroughly. Grand Theft Auto V next-gen port would be more exciting than any medium scale game release announcement but Rockstar would make more earnings if it goes for another title or a new IP for launching on PlayStation 4 and Xbox One. People are also waiting for Red Dead Redemption 2 and releasing new game as a next-gen title can boost Rockstar’s reputation even more. Let’s talk about Grand Theft Auto V on PC now. Consoles cannot be compared to PC in terms of hardware capabilities. PC offers an easy approach to high-end game standards. Visually most multiplatform games look much better on PC and then the graphics mods make the games look even more splendid. Rockstar released Grand Theft Auto IV on PC six months after its launch on PlayStation 3 and Xbox 360, the game was a little better but similar to console versions but when PC gamers started modifying the game with mods, Grand Theft Auto IV started looking much better than what Grand Theft Auto V now looks like on PlayStation 3 and Xbox 360. 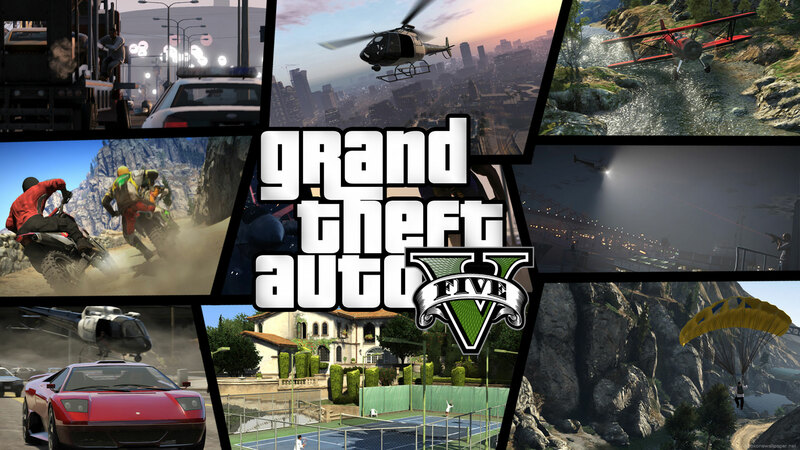 Grand Theft Auto V is a brilliant game and so it should be released on the brilliant platform. The game is already well developed and if Rockstar plans to release it on PC, the redefined visuals and dynamic environment would add more to the beauty of the game. Also PC gamers are as much as console gamers in number and they have not played the game before so Rockstar can expect higher sales rate if Grand Theft Auto V is released on PC. The rumors, leaks and reports about Grand Theft Auto V also greatly favor the PC release. Recently, Grand Theft Auto V PC gameplay video was posted on YouTube, but it was taken down immediately by Take Two Interactive, which claimed its copyrights act. The game was also previously listed for PC preorders on Amazon but the page was soon removed after Take Two Interactive legal team took notice of the matter. This indicates that there is something going on at the back-end about the PC release of the game. 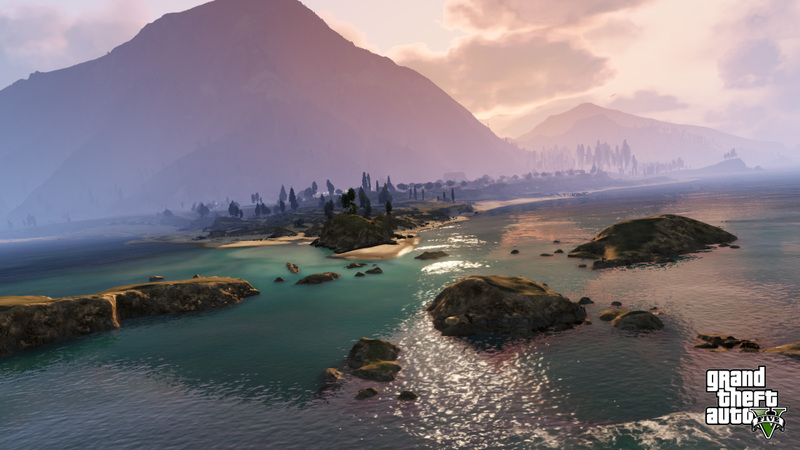 PC would redefine Grand Theft Auto V and improve its quality from top to bottom. PC version of the game would of course soon become victim of piracy but that would take some time and still gamers would need a legit copy of the game to play Grand Theft Auto Online, so this would result in better Rockstar reputation. Imagine the next-gen Grand Theft Auto visuals that PC would display, then imagine the graphics modes on PC for the game. This would be fantastic. Grand Theft Auto V has already earned what it could on PlayStation 3 and Xbox 360, those who want to stick with Grand Theft Auto Online are enjoying it on their previous-gen consoles. Latest consoles would upgrade the visuals of the game but Grand Theft Auto V already has optimum visuals on PlayStation 3 and Xbox 360. Having the PlayStation 4 and Xbox One versions of the game would be great, but not all next-gen players would prefer buying the game for their new systems. PC has not seen Grand Theft Auto V at all and gamers are desperately waiting for a PC version of the game, the heat that Grand Theft Auto V PC related topics get shows how much people are interested in the PC version of the game. Latest installment in the Grand Theft Auto series would look more enhanced on PC and PC version of Grand Theft Auto V would sell more than PlayStation 4 and Xbox One version.